All appointments come with an ADDITIONAL appointment guarantee if baby does not cooperate on the first try. We DO NOT GUARANTEE baby cooperation. All fees apply at time of service. What are the benefits of 3/4D ultrasound? Primarily, 3/4D ultrasound offers beautiful, quality images of your baby. Our ultrasound images far surpass traditional 2D images providing easy understanding and visualization. 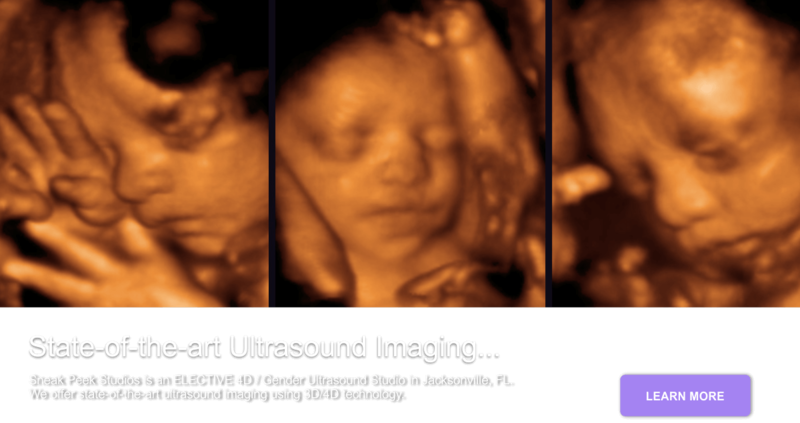 3/4D ultrasound allows the expecting mother and guests to clearly visualize the baby and family traits. We upgraded our machine in the fall of 2013 to keep up with the latest in ultrasound technology. 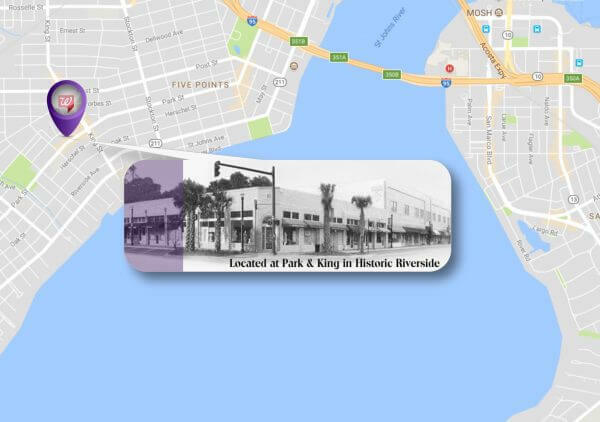 We simply offer the best and latest technology available in the greater Jacksonville area. We hear our customers say all of the time, “Wow, it seems so real!” All 4D appointments include 3D images. 4D is in real time, live motion. 3D is the “still” images that we capture from that movement. What is included in your ultrasound sitting fee? We offer custom packages you can design yourself. All packages come with a CD of pictures with upgrades available. All of our pricing includes an additional appointment (if needed) if baby does not cooperate. It is sometimes helpful to bring a cold soda, coffee, juice, or your baby’s favorite sugary snack. These items can help wake the baby if they are sleeping and get them to move around. What should I wear to my ultrasound appointment? We recommend that you wear a two-piece outfit for ease and comfort. Easy access to the baby makes for a comfortable and enjoyable experience. We do not recommend wearing a dress for this reason because we will have to lift it to access your belly and then your undergarments will be exposed. Can I bring friends and family to my ultrasound appointment? Absolutely! We offer a mother centered and family friendly environment. This is truly a family affair, therefore each of our rooms can facilitate families and friends. We can seat up to 8 family members comfortably in the viewing area and have 2 additional seats for daddy-to-be and one other family member of your choice that you would like in the scanning area with mommy-to-be 🙂 We also have a children’s area with a table and 2 chairs and several bean bags. We offer dividers for privacy from the scanning area and the viewing area or we can leave the area open so that all members can be included in the process. Both areas have their own large TV monitors if you would prefer a little more intimate setting for the parents-to-be. This is such a joyous time that most of our clients prefer that all family members are involved. We realize the importance of having family and friends to share in this special moment, so each of our ultrasound imaging rooms have a 32′ Flat HDTV screen for everyone to easily see the visualization of the baby. Do you provide medical services or diagnostic ultrasound? Sneak Peek Studios provides only a supplemental service by determining gender, fetal position and other useful information. 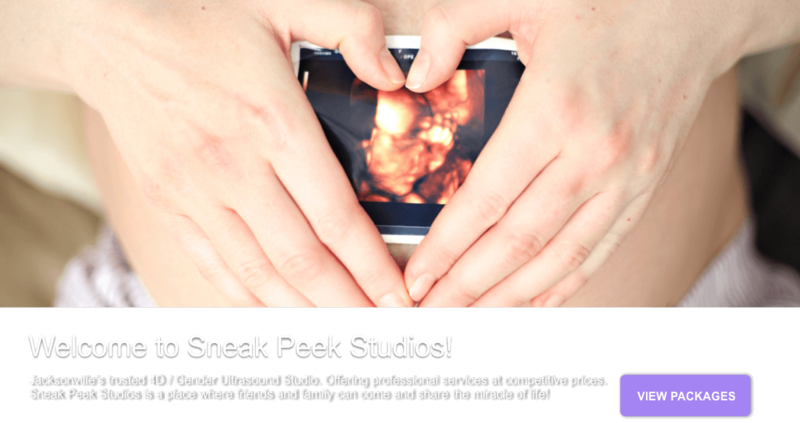 The Sneak Peek Studios sonographer will not provide any medical measurements to include the weight of the baby. Any medical questions should be directed to the mother’s physician or midwife. This is a non-diagnostic ultrasound and does not need an order from your physician. This is solely for entertainment purposes only and to provide keepsake images of your fetus.